Professor prides himself on being a very active black belt at his school, teaching most classes during the week while still preparing for his own upcoming tournaments. So it’s not often that he can find the time to travel and train out of state. 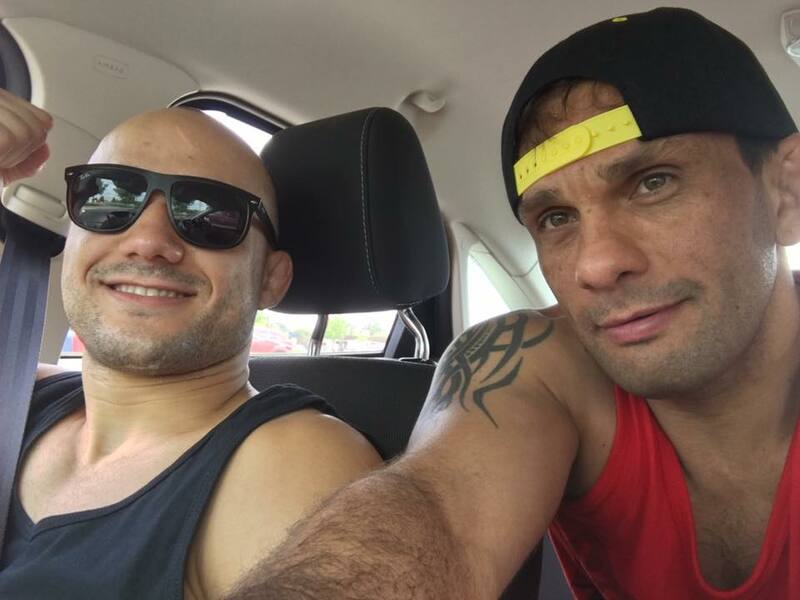 This trip to New Jersey was special because it was more than just an opportunity to train with more great fighters, it was also a chance to catch up with old friends from Brazil. Marcelo Motta grew up in the town of Nova Friburgo, which is a mountainous region just 2 hours southeast of the nation’s capital. Nova Friburgo is a town famous for producing great fighters to include the Professor himself and also MMA legends Marlon Moraes and Edson Barboza, just to name a few. Marlon Moraes is the WSOF (World Series of Fighting) Bantamweight Champion, but back in the day he was a 13 year old white belt training Brazilian Jiu-Jitsu under Marcelo Motta in Brazil. He earned the rank of purple belt from Marcelo around the age of 20, which is when he moved to the United States to begin his professional MMA career. The two have remained close friends, more like brothers, for many years.